I was so excited to see the word VEGAN, but this restaurant is actually VEGETARIAN. When I first moved to Oman eight years ago, I could hardly find brown rice. My husband and I would trek an hour and a half to the capital of Muscat to stock up on tofu and soymilk but much has changed since then. 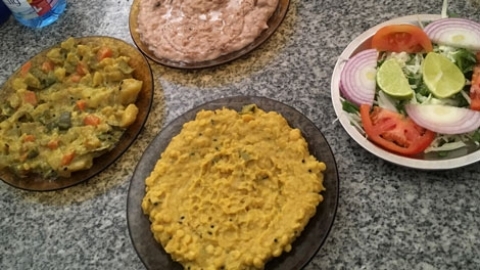 No, we haven’t seen the country’s first vegan restaurant yet and the word ‘vegan’ has yet to enter the Arabic lexicon, but much progress has been made. 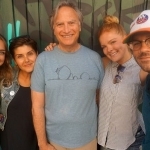 Vegan-friendly franchises and local businesses are growing in the city and so are consumers. Visitors passing through may not be able to appreciate this but as a resident vegan, Muscat is very livable. We’re still waiting for vegan pizza to make an appearance but can happily make do from the selection we have. This Japanese/Asian fusion franchise opened their first location in Oman late last year. 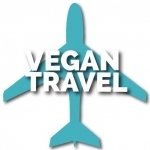 Much like all of their restaurants, they have dedicated vegan and gluten-free menu options. 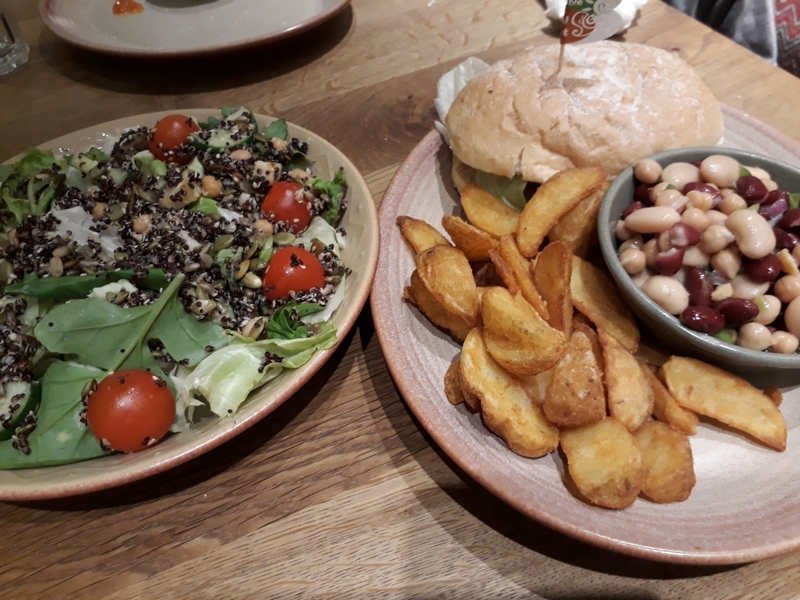 Their staff ensures that only managers and the head chef handle vegan and allergen-free orders. With 24 hours of advance notice, The Yellow Chilli can prepare a custom vegan meal inclusive of desserts. 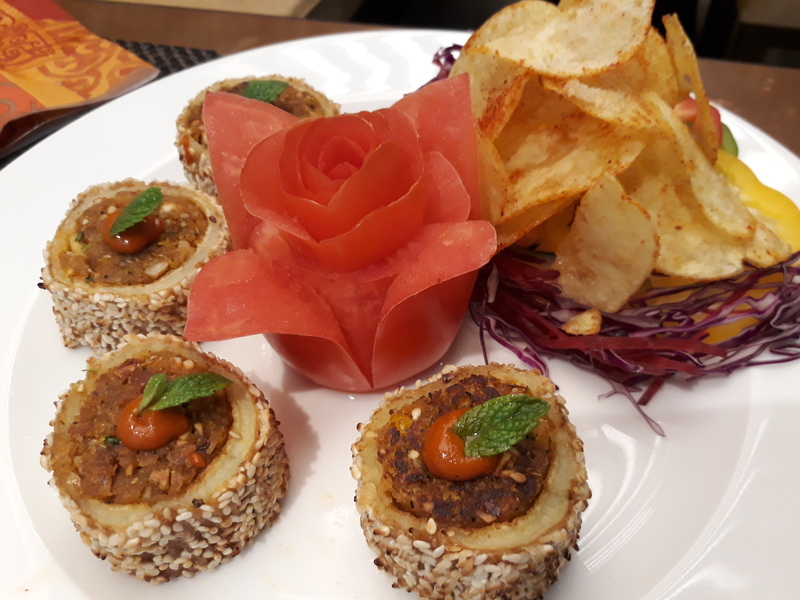 The innovative Indian cuisine brand was made popular by Master Chef Sanjeev Kapoor and serves an exciting selection of remixed classic dishes. 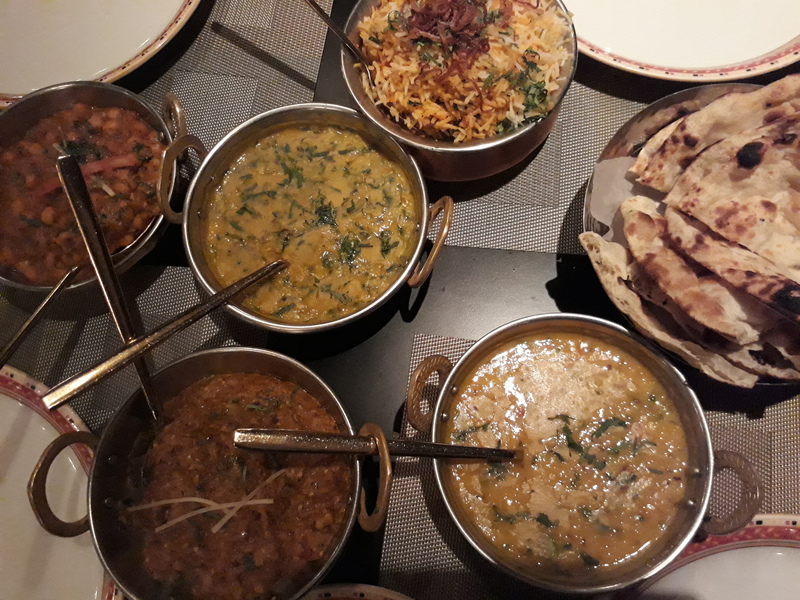 One of the most romantic dining locations in the city atop a hill overlooking Qurm Park is Mumtaz Mahal. Their kitchen intentionally use minimal fat when cooking and their in-house sauces are so delicious they are sold by the bottle. 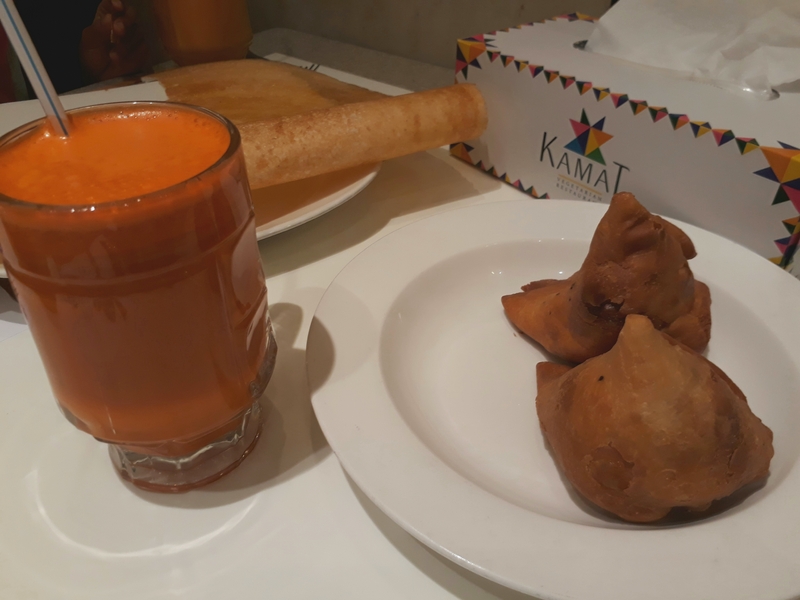 For Southern Indian cuisine, Kamat is a purely vegetarian restaurant with some of the best dosas and samosas in the city. 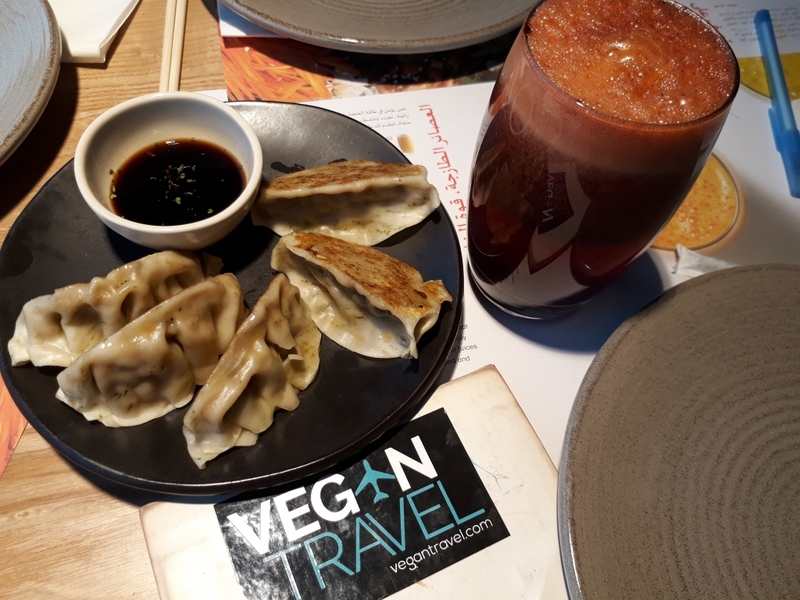 Their fresh pressed juices are a perfect complement to their extensive menu of dishes. 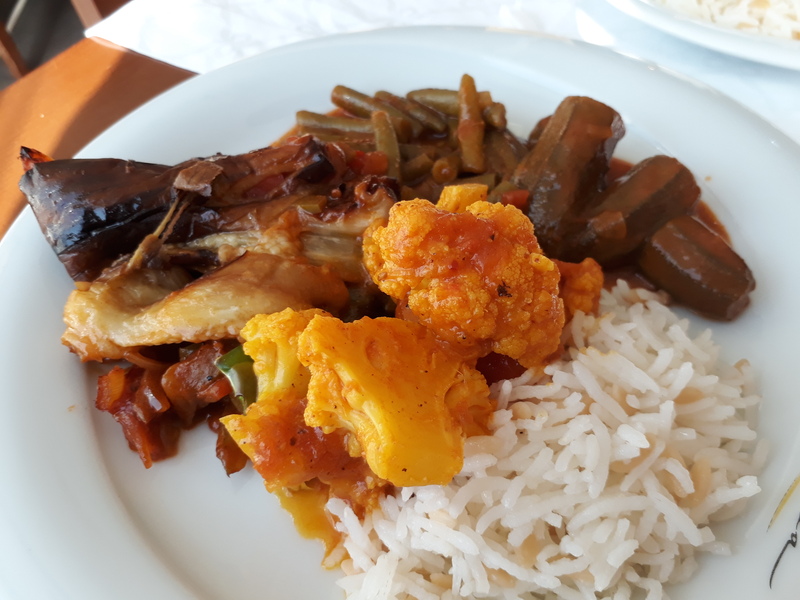 For vegan-friendly Turkish cuisine, Lokanta has you covered. From cold appetizers to hot entrees, you can enjoy authentic dishes that are totally plant-based. Be sure to let your server know you’re vegan so you can taste their delicious pide bread without egg. 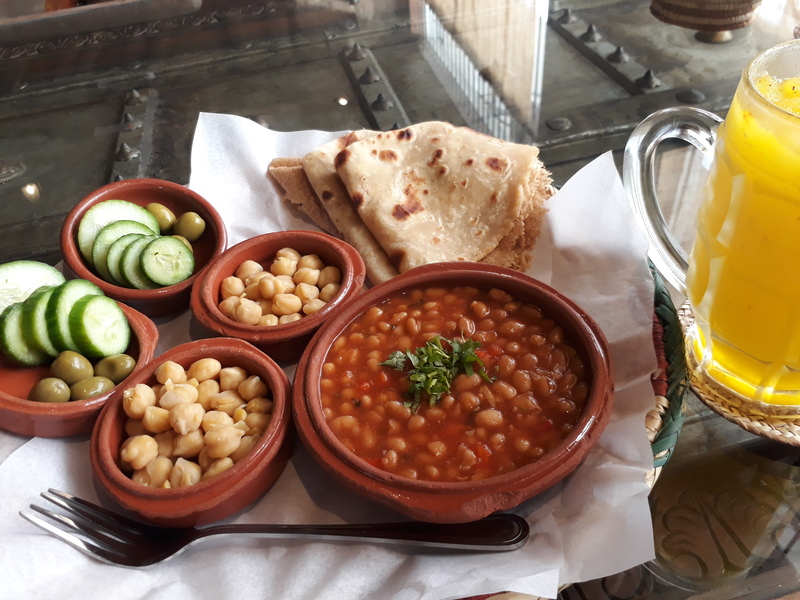 If you want to taste the vegan-friendly side of Omani cuisine, Dukanah Café gives you the feel of tradition with simple meals of beans, breads, and salads. Most dishes are served with a side of cream and cheese but can easily be substituted for extra olives and cucumbers. 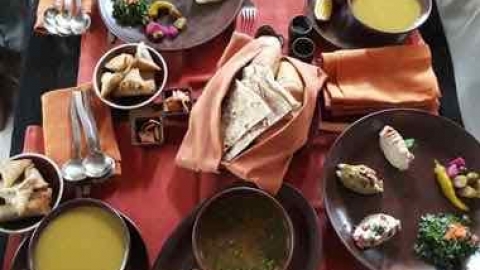 To taste Oman’s Swahili heritage, the best spot in the city is Coconut House. Lunch is primetime for the eatery when food is freshly prepared and served from a hot food bar. 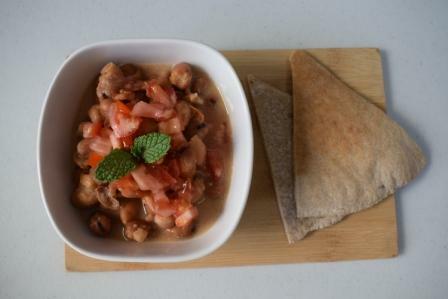 Arrive early for the best variety of bean and vegetable dishes. If you’re on a budget, this is your top choice. 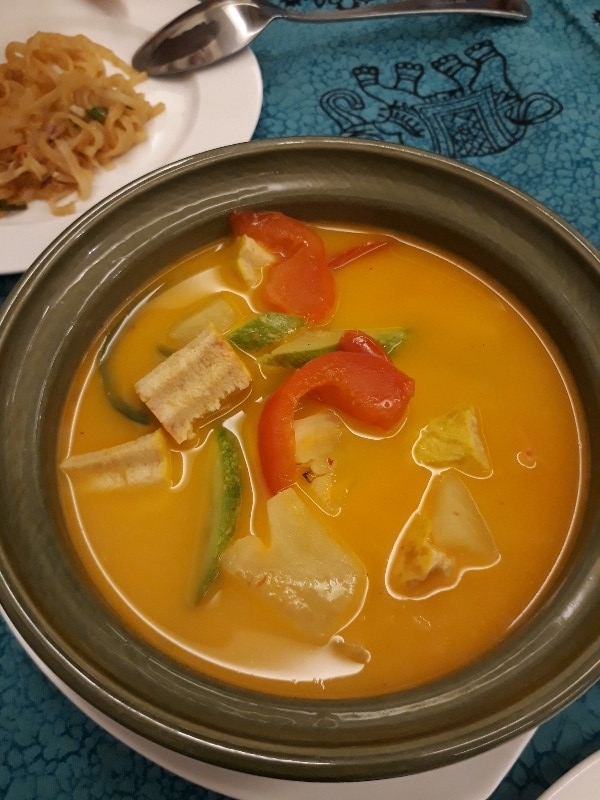 The sumptuous flavors of Thai cuisine are hard to resist. Thankfully, Kun has brought in Thai chefs and ingredients to ensure your meal is authentic yet affordable. Be clear to explain your vegan preference to your server in advance. 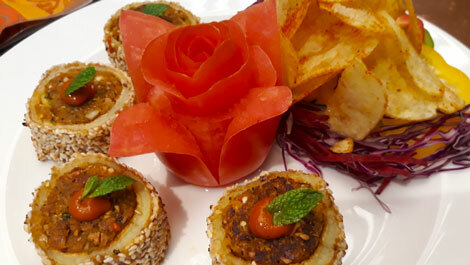 Hayat’s is an Omani-owned restaurant that serves international fusion cuisine with vegan options like cauliflower tabbouleh, lentil soup, and their famous sweet potato falafel. Some sauces are made with honey, so notify your server in advance. 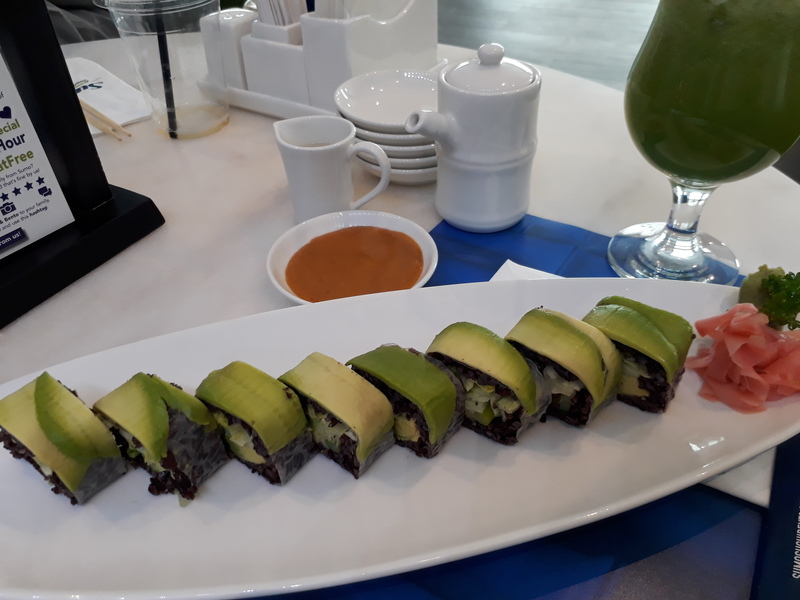 For sushi lovers, Sumo has two pages of veggie options including a delicious Forbidden Roll with black rice and veggie bento boxes that include ginger tofu, brown rice, shitake mushrooms, edamame, and pickled veggies. Inquire about their buy one, get one bento box happy hour. 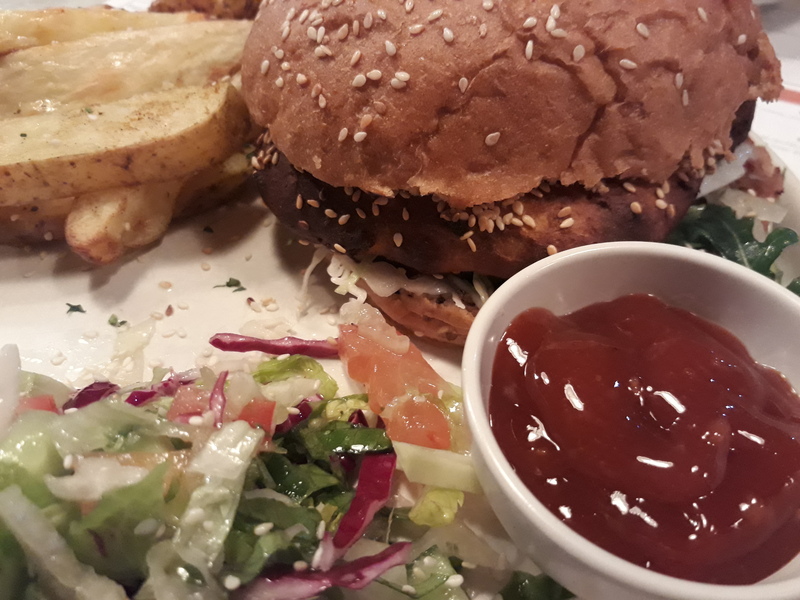 The popular South African franchise is known for Afro-Portuguese sauces and grilled chicken, but vegans can enjoy their veggie burgers, hummus, bean and quinoa salads, and their roasted red pepper dip. Take note of their curated artwork by South African artists. 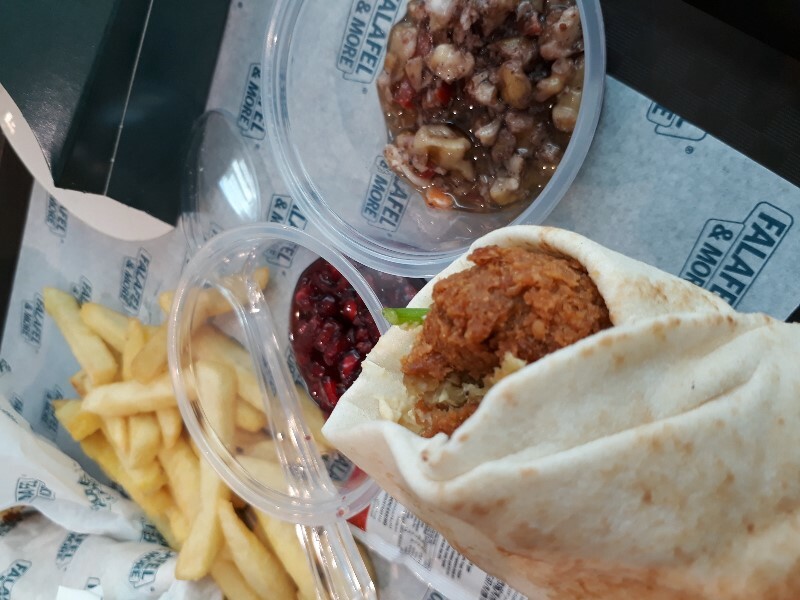 Mall food courts can be overwhelming with so many options to comb through but places like Falafel and More help you get in and out efficiently. 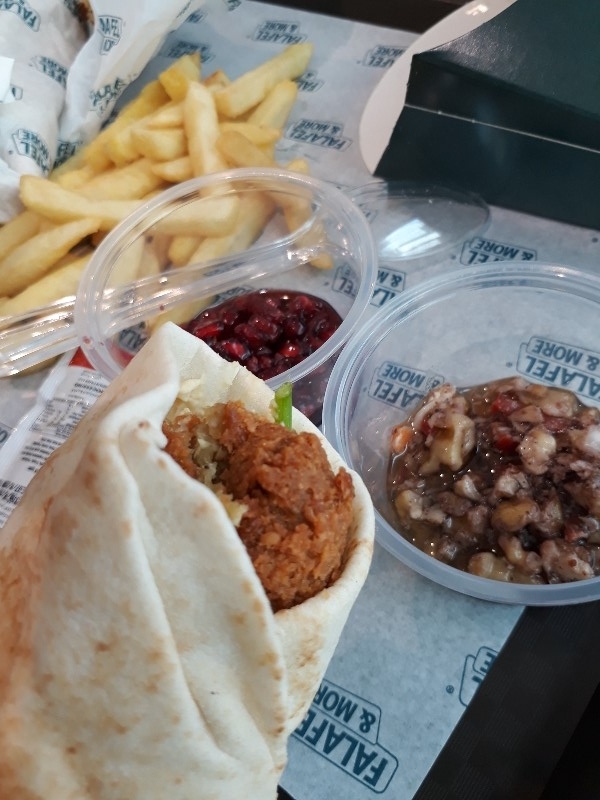 They serve falafel in a wrap or platter with vegan sides like hummus, pomegranate sauce, and walnut sauce. 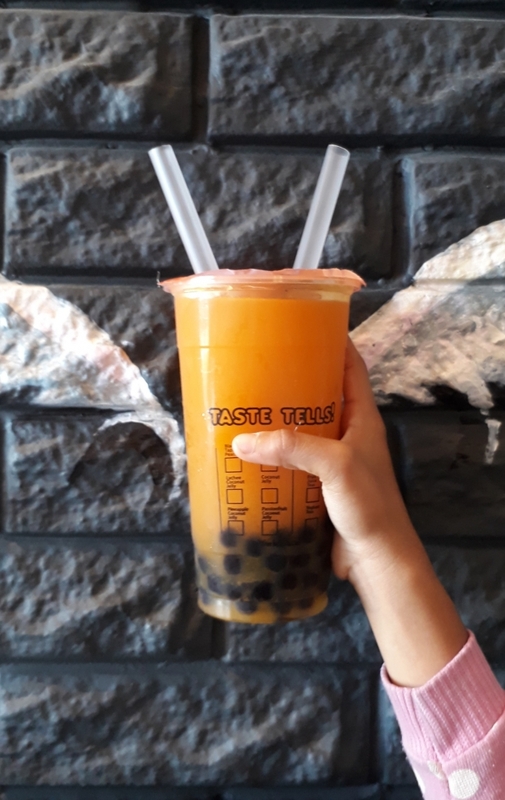 For vegan bubble tea fans, Booba gives you the option of fruit tea juices as an alternative to milk tea options. Non-dairy creamer is used in their milk tea selections but it does contain casein, so take note. Their fresh-pressed juices and smoothies are great if you don’t like tapioca pearls. This Omani-owned business started as the personal endeavor of a working woman who was looking for healthy, grab-and go breakfast options. 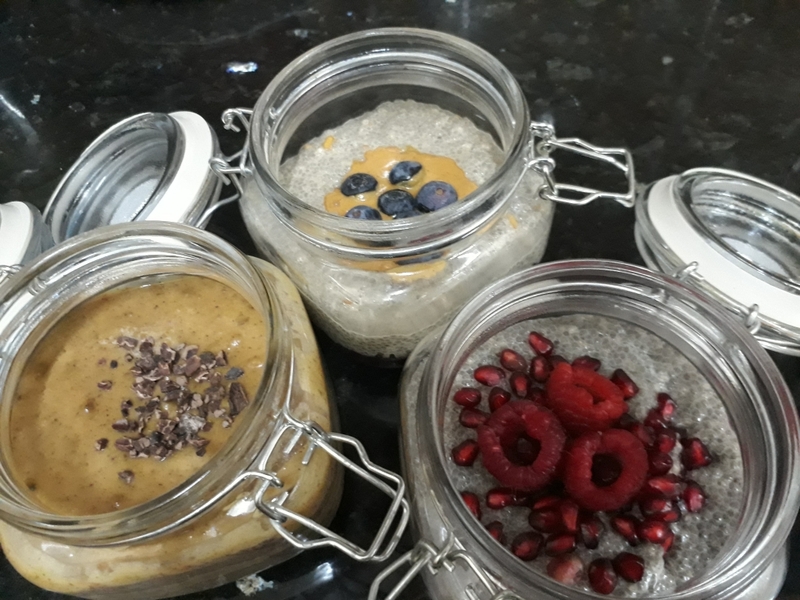 Now she delivers a variety of mostly-vegan overnight oats and chia puddings in more flavors than days in the week. 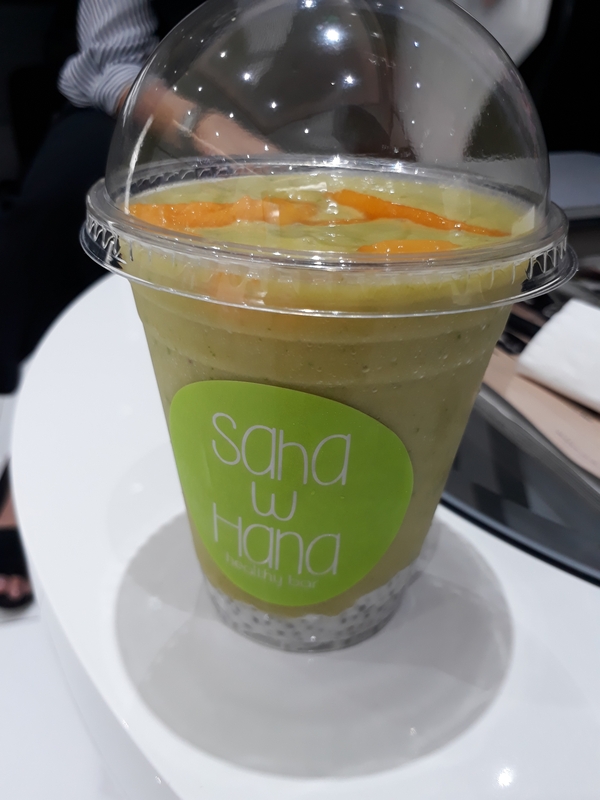 Located in several gyms around the city, Saha wa Hana stays stocked with fresh salad meals prepared every morning, alongside smoothies, juices, and raw desserts to refuel you before, after, or without a workout. 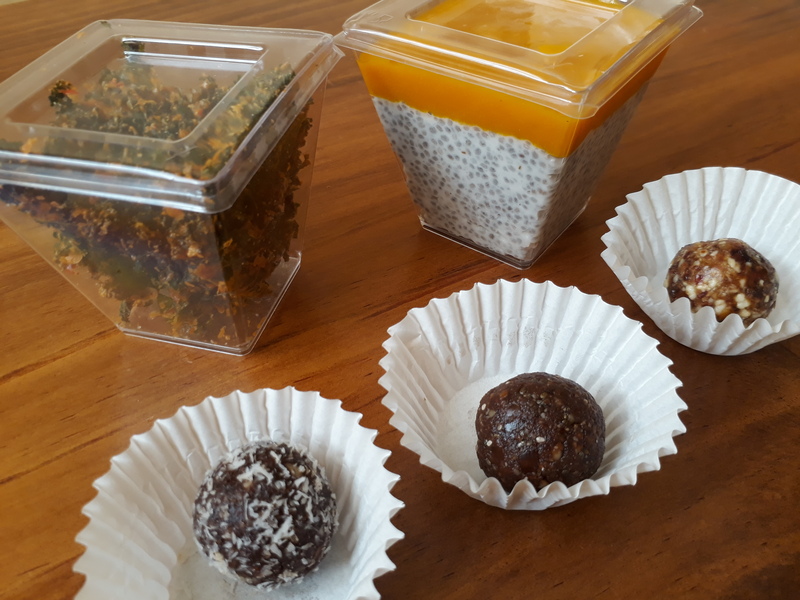 Nothing motivates health-consciousness like becoming a mother and Sprout is a true homegrown, mom-owned business with vegan options like Mango Chia Pudding, Kale Chips, and Energy Balls. Both meals and snacks are made to order. This expat-owned business is run by a certified nutritionist. 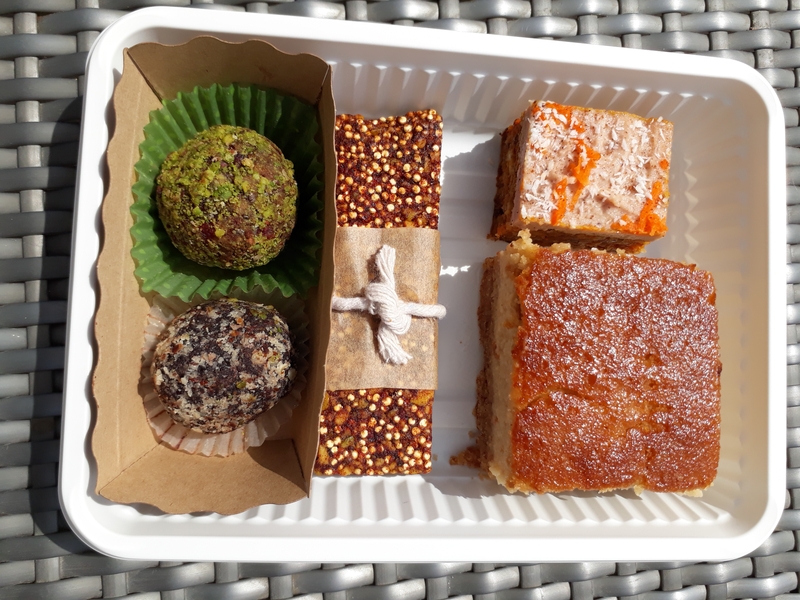 Her healthy desserts include vegan, sugar-free, gluten-free, and guilt-free delights that are custom made to order. I personally am in love with her Raw Carrot Cake and nut-based snack bars. If you’re in Muscat for an extended stay, Nutrilife has dietitian-curated meal delivery services that can cater to vegan diners. 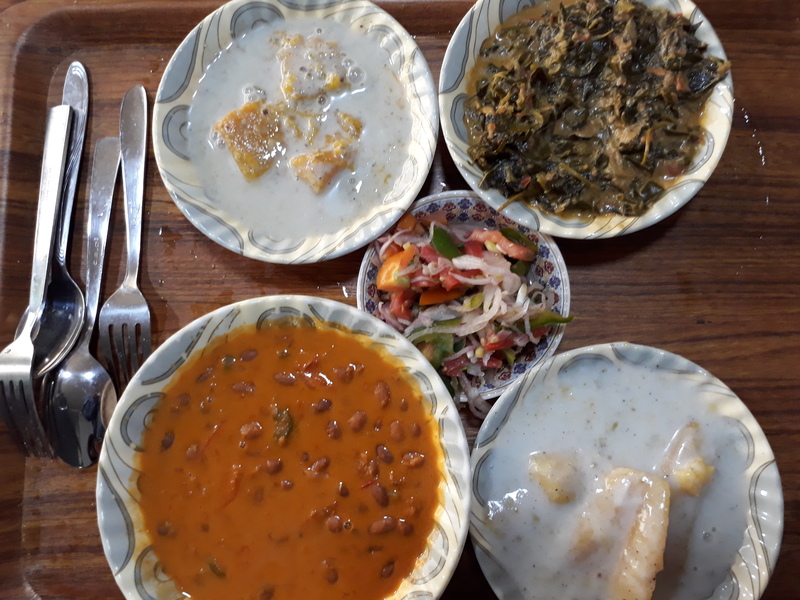 Their international selection of dishes includes can be delivered to your door and are creatively planned to offer something new every day of the week. 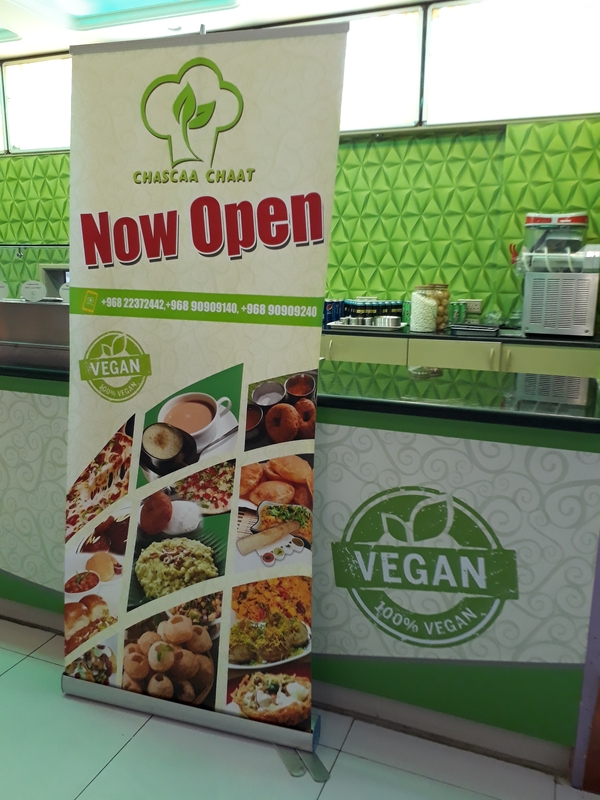 If you’re a business in Muscat and have or want to increase vegan options on your menu, contact me here. 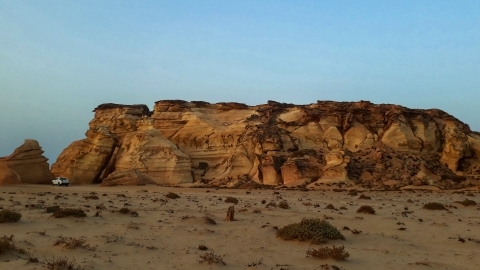 Great blog about my home country. I really appreciate amazing and helpful work .